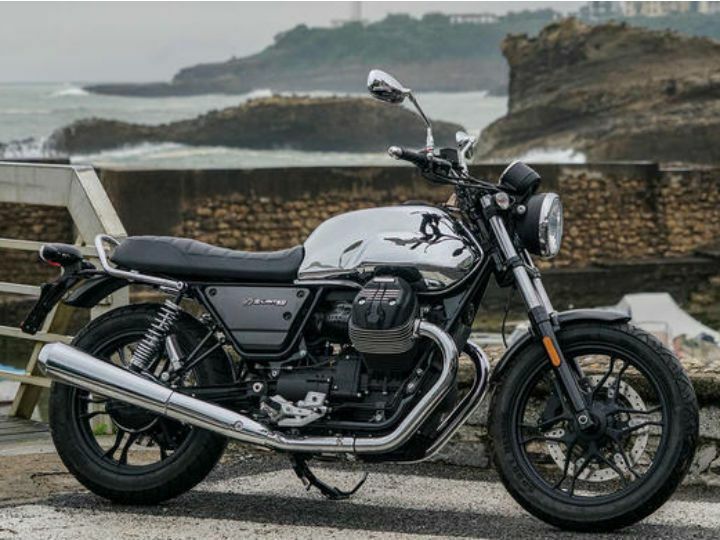 Milan, 18 June 2018 - In the charming setting of Biarritz, before thousands of bikers who came together for the traditional Wheels and Waves event, Moto Guzzi unveiled the new Moto Guzzi V7 III Limited, the most recent stylistic interpretation of the renowned "seven-fifty" from Mandello. The popular festival dedicated to the pairing of bikes and surfboards - Roberto D’Amico, one of the best and most respected Italian surfers faced the beach break of the French Atlantic coast with the Moto Guzzi logo on his board - was the perfect setting for the début of this exclusive limited edition in just 500 numbered units. The V7 III Limited combines the classic and elegant chromium look with refined hi-tech materials such as carbon fibre and aluminium: the eclectic, modern look reiterates how well the V7 III lends itself to customisation, an extremely youthful bike but at the same time a symbol of all that is 'Made in Italy', popular across the board with a diverse public. On the Moto Guzzi V7 III Limited, the numerous chromium plated parts are reminiscent of the purest Classic world, beginning with the chromium fuel tank, “wrapped” on the top under a black leather vintage-look strap. On the sides, the unmistakeable Moto Guzzi eagle is done in a particular burnished finish: after all, black is another recurring element on the V7 III Limited, from the alloy wheels to the saddle with “old school” stitching, as well as the typical pattern of carbon fibre, the material used for the front and rear fenders and the side panels. The locking fuel cap is made from billet aluminium, as are the handlebar risers which bear the model's laser inscribed serial number.